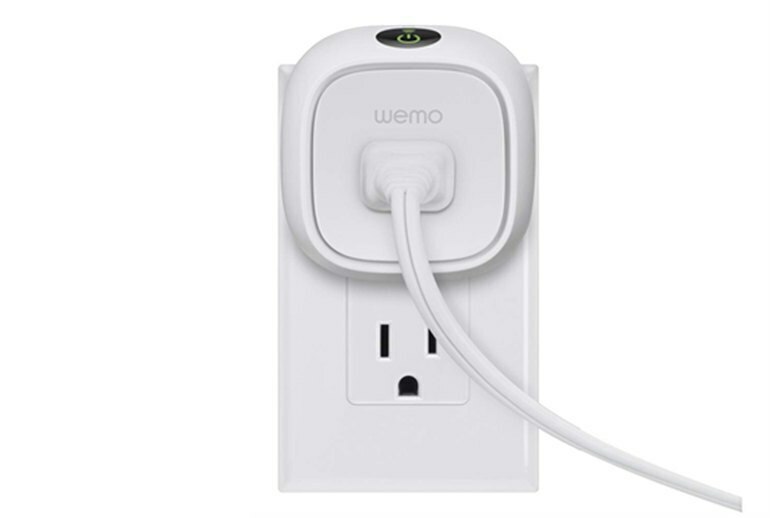 The WeMo Insight switch connects with Wi-Fi to a free Android or iPhone app. It's a compact size so it's unobtrusive. The Insight Switch tracks power usage and costs. The physical setup can cover adjacent outlets. You need to work with two different apps to get the most out of the switch. There's currently no browser support; you need to use the app. 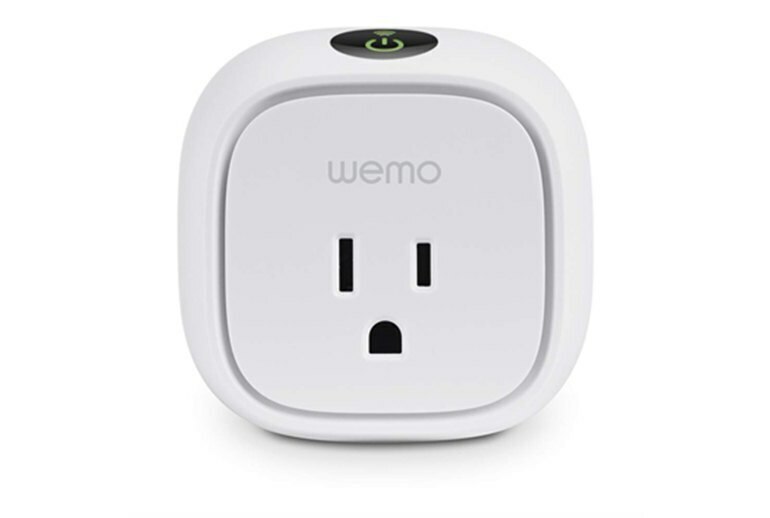 The WeMo Insight Switch is a compact Wi-Fi connected switch that gives your Android or iOS devices control over whatever you have plugged in to the Insight Switch. The WeMo Insight app gives power usage feedback so you can see what's costing you money every month. Using IfTTT recipes, you can create rules to turn on a light or start coffee at a set time every weekday for example. You can also create a rule to send you a notification by email or Twitter if the switch is on for set amount of time. 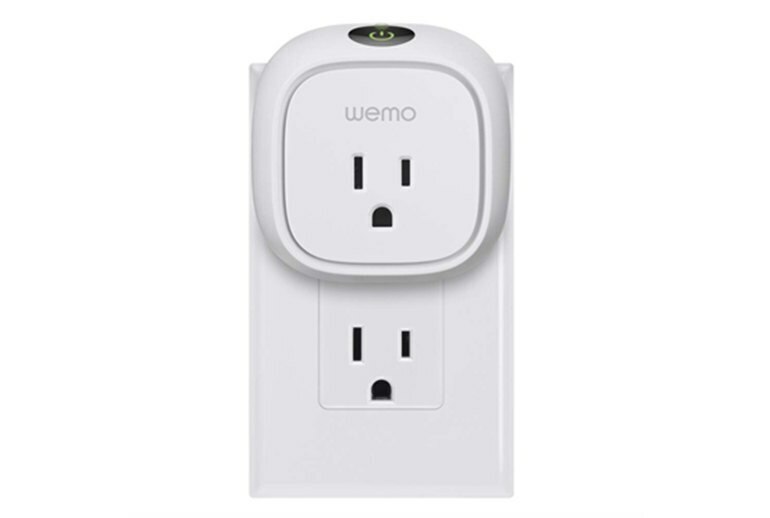 There are some connectivity quirks, but the WeMo Insight Switch can help you get your house connected to the Internet of Things. I have no problem recommending this to home automation newbies, or someone with a specific need for the power consumption data. Overall, the WeMo Insight Switch offers some nice if not strictly necessary improvements over the original WeMo Switch, but its added functionality and higher price combine to make it more of a niche offering than its predecessor. The WeMo Insight Switch is a fun toy with a surprising amount of practical uses. Hook it up to that thing you’re always worried you forgot to turn off before leaving home, program it to turn your lamps on as the sun sets ... or plug it in behind your fridge and find out just how much keeping those leftovers cool is costing you every month. 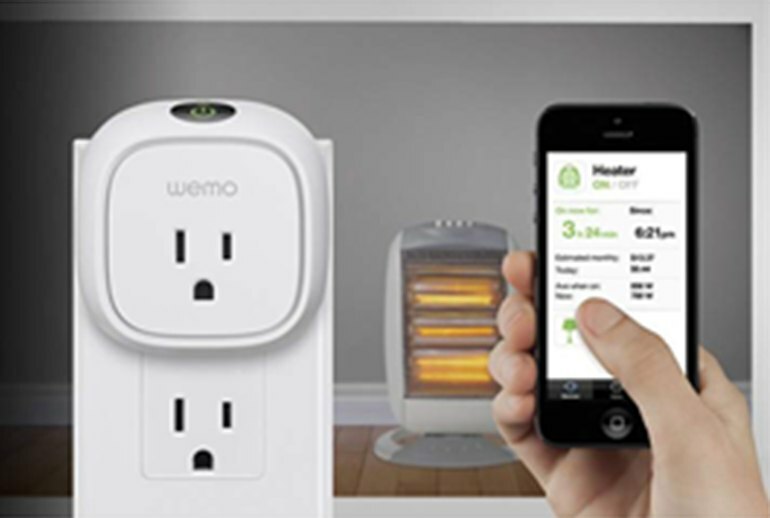 The Belkin WeMo system offers a powerful and affordable introduction to home automation. The system allows you to easily experiment with home control and expand with new devices as your needs change. 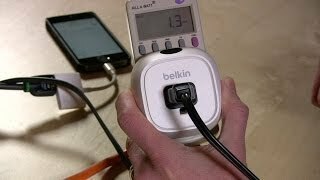 Belkin WeMo Insight Switch is not just smart, it’s crazy powerful. How smart can it be is as good as your creativity goes. If you are not feeling creative, don’t worry, because IFTTT recipes can be downloaded publicly so you can search and find the ones you like or need. On the plus side, the iOS application seems much more mature and operated much more smoothly...The Android application is a completely different story. I had numerous problems with the application. 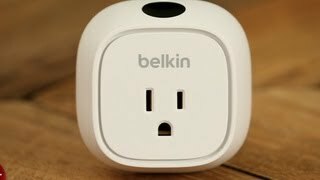 Belkin WeMo Insight Switch Review - Control Lights and Electronics with iPhone or Android and IFTTT!